Harris, Carolyn. 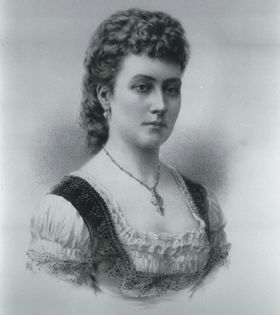 "Princess Louise". The Canadian Encyclopedia, 28 July 2017, Historica Canada. https://www.thecanadianencyclopedia.ca/en/article/princess-louise. Accessed 24 April 2019. Her Royal Highness The Princess Louise Caroline Alberta, Marchioness of Lorne was the fourth daughter of Queen Victoria and vice-regal consort of Canada from 1878 to 1883 (born 18 March 1848 in London, United Kingdom; died 3 December 1939 in London, United Kingdom). The fourth daughter of Queen Victoria had both the province of Alberta and Lake Louise named for her. Her Royal Highness The Princess Louise Caroline Alberta, Marchioness of Lorne was the fourth daughter of Queen Victoria and vice-regal consort of Canada from 1878 to 1883 (born 18 March 1848 in London, United Kingdom; died 3 December 1939 in London, United Kingdom). Louise was the first member of the royal family to visit British Columbia. As vice-regal consort, she promoted the arts in Canada, including the founding of the National Gallery of Canada and Royal Canadian Academy of Arts. Lake Louise and the province of Alberta were named in her honour. Princess Louise Caroline Alberta was born at Buckingham Palace in London, England. She was the sixth child and fourth daughter of Queen Victoria and Prince Albert of Saxe-Coburg-Gotha. Louise was named after her paternal grandmother, step-great-grandmother and father respectively. Her birth received little public attention because of concern that the 1848 revolutions in Europe would spread to Britain. When Louise was 13, her father died and the royal household went into mourning. Victoria’s extended seclusion also curtailed the public lives of her unmarried children. Louise, for example, was not permitted the coming out ball customary for elite young women. However, Louise managed to continue her artistic education. In 1863, she enrolled in the National Art Training School in London to study sculpture, becoming the first British princess to attend a public educational institution. On 21 March 1871, Louise married John Campbell, Marquess of Lorne. Louise was the first British princess to marry a non-royal spouse since King Henry VIII’s sister Mary married Charles Brandon, Duke of Suffolk in 1515. Louise’s brother, the future Edward VII, strongly objected to the match, but Queen Victoria supported a marriage that would allow her daughter to make her home in the United Kingdom. A devoted patron of the arts and letters, Lorne founded the Royal Society of Canada in 1882 and the Royal Canadian Academy of Arts in 1880 (courtesy Notman Photographic Archives/McCord Museum). Lorne and Louise did not have children and their relationship attracted speculation that continues to the present day. The couple, however, had shared cultural interests. Lorne enjoyed sketching, and was a prolific author and traveller who had visited Canada prior to his marriage. Louise focused her artistic endeavours on sculpture and exhibited her work. Her bust of her brother Prince Arthur was exhibited at the Royal Academy in 1869, and her statue of Queen Victoria remains on display outside Kensington Palace. Louise’s marriage allowed her to escape the seclusion of the royal court and engage with other British artists. Lorne and Louise’s London residence became an important cultural salon. Louise’s philanthropy focused on the arts, girls’ education and aid for disadvantaged women. Louise visited The Haven in Hamilton, Ontario, which provided aid for discharged female prisoners, and gave a speech in support of the Montreal Ladies’ Educational Association in 1878. Louise encouraged women to acquire practical skills and emphasized the importance of domestic economy. 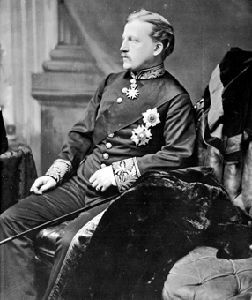 On the advice of British Prime Minister Benjamin Disraeli, Lorne was appointed governor general of Canada in 1878. Prior to his appointment, Lorne was a Member of Parliament in the UK, but his position as the Queen’s son-in-law limited his activities there. 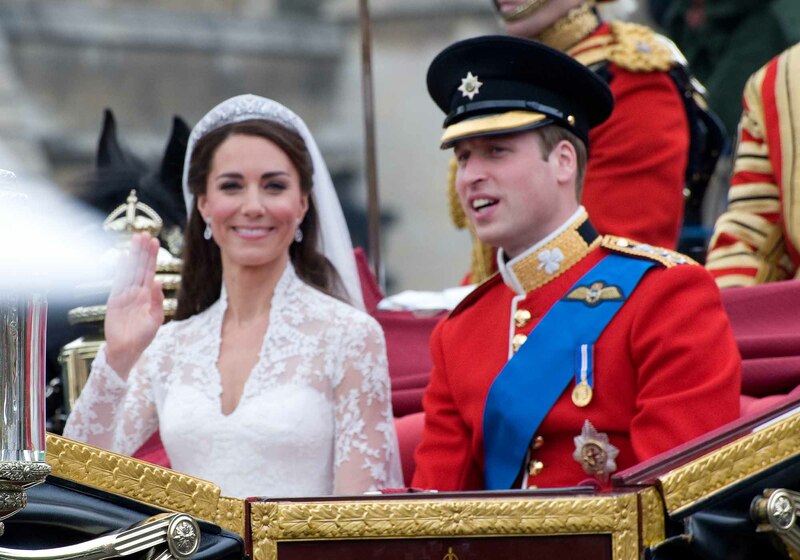 The Canadian appointment offered the couple a degree of independence. They arrived in Halifax in November 1878 and then travelled by train to Ottawa, visiting Montréal and Québec City along the way. The young couple (Louise was 30, Lorne was 32) were well received by Canadians, who prided themselves on their loyalty to the Crown, but the press warned them not to expect the formality of the British court. Louise’s predecessor as vice-regal consort, Lady Dufferin, opened up Rideau Hall to a wide cross section of Canadian society. There were concerns that Louise would insist on formal customs — such as court dress and those of social rank backing out of rooms — but the Princess made herself popular by making clear that she “wouldn’t care if they came in blanket coats.” Louise and Lorne embraced Canadian pastimes, holding tobogganing and curling parties at Rideau Hall (official residence of the governor general) and skating on the Rideau Canal. Louise added an artist’s studio to Rideau Hall and her own touches to the interior design, including hand painting an apple branch pattern on one of the doors. In February 1880, Louise suffered a concussion and torn earlobe when her sleigh overturned and was dragged nearly 400 m by the horses. Louise spent time in Europe and Bermuda recovering from her injuries, which were downplayed in the press at Lorne’s insistence. The accident reduced Louise’s public appearances in Canada, and Lorne undertook a tour of the North-West Territories by himself in 1881. During the 19th century, Canadian artists often left Canada to establish their reputations, exhibiting their work in the United States or Great Britain. When Louise arrived in Canada, there were provincial societies for artists, but no organizations at the national level where Canadian artists could learn from one another and exhibit their work in a Canadian context. In 1880, Lorne and Louise founded the Royal Canadian Academy of Arts. Both male and female artists were permitted to exhibit at the Royal Canadian Academy of Arts. The Academy held its first exhibition in March 1880. Louise was convalescing from the sleigh accident and was therefore unable to attend the event, but the paintings were brought to her room for her to view privately. 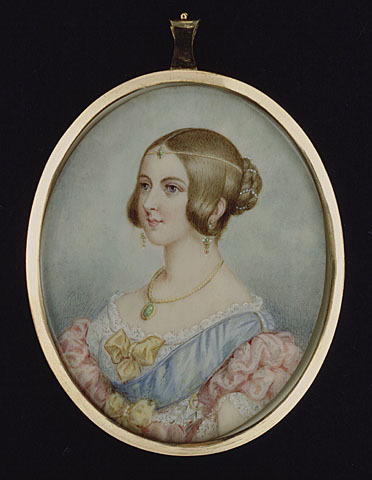 Louise encouraged the work of women artists during her time in Canada, visiting a display of women’s paintings at the Canadian National Exhibition in Toronto. The 1880 exhibition developed into the modern National Gallery of Canada. In 1882, the gallery received its first permanent home, a remodelled builders’ workshop at the Department of Public Works on Parliament Hill. Lorne attended the opening with a large party. The initial collection consisted mostly of diploma works from the newly created Royal Canadian Academy of Arts. In keeping with Louise’s interest in promoting the careers of female artists, the Gallery displayed The Croppy Boy by Charlotte Schreiber, a Toronto painter and first female member of the Royal Society. Louise added works by female Canadian artists to her personal art collection. Louise contributed her own art to Canadian collections. Her portrait of the sculptor Henrietta Montalba is part of the collection of the National Gallery of Canada. A bronze cast of a sculpture of Queen Victoria by Louise stands near McGill University in Montréal. Her Canadian photo albums are part of the collection of Library and Archives Canada. Louise was the first member of the royal family to visit British Columbia, arriving in Victoria with Lorne in 1882. The railway across Canada was not yet complete, so the couple travelled across the United States by train then by ship along the west coast to reach British Columbia. The visit had diplomatic significance because the completion of the railway was a condition for British Columbia’s entry into Confederation and there was tension regarding the location of the western terminus. 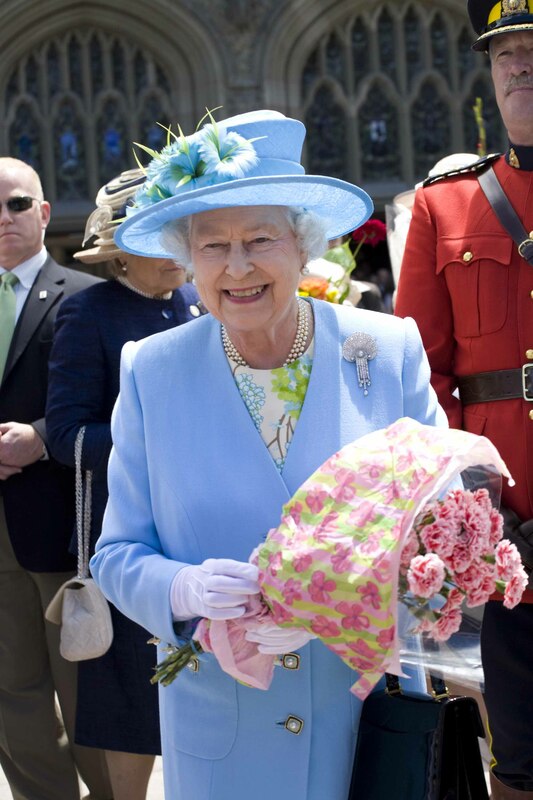 The royal visit was well received by the diverse communities of Vancouver Island. The Chinese community erected a celebratory arch and delivered an address. Louise and Lorne also met with Indigenous peoples while in Canada. During his 1881 tour of the North-West Territories, Indigenous leaders described Lorne as their “great brother-in-law.” Louise shook hands with them as equals throughout her time in Canada. During her return journey from British Columbia, Louise visited the town of Pile of Bones and renamed it Regina, in honour of her mother, Queen Victoria. The presence of Lorne and Louise in Western Canada emphasized Canadian sovereignty over the region at a time when American settlement threatened to expand northward. Louise made frequent visits to Québec. She spoke French fluently, and bridged the social divide between the English and French Canadian elites. Lorne and Louise holidayed on the Cascapedia River, where they enjoyed sketching and salmon fishing. A number of Canadian military regiments were named for Louise. The 66th The Halifax Battalion of Infantry became the 66th Battalion “Princess Louise” Fusiliers in 1879. Louise became patron of Ottawa’s cavalry troop, which became the Princess Louise Dragoon Guards in 1903. In 1884, the 8th Regiment of Cavalry became the 8th Princess Louise’s New Brunswick Regiment of Cavalry. Louise remained engaged with Canada and Canadian institutions after departing the country at the end of Lorne’s tenure as governor general in 1883. During the North-West Resistance of 1885, Louise sent medical supplies to the Battle of Fish Creek and Batoche with instructions that assistance was to be provided for both sides. In 1882, the land that would become the province of Alberta was named for Louise. In 1905, Alberta was established as a province, retaining Louise’s name; the princess wrote to a Canadian well-wisher, “I am intensely proud of this beautiful and wonderful Province being called after me, and that my husband should have thought of it.” Louise was widowed in 1914, but maintained a busy schedule of public engagements until her death in 1939. In his 1884 book, Canada Under the Administration of Lord Lorne, J.E. Collins recalled: “Those who come into contact with the princess, never weary of telling that she was a true and noble woman, always desirous of doing well for her kind, eager in giving assistance to every project of art and education, not less than her husband generally interested in the progress of the people.” The province of Alberta and Lake Louise in Alberta are named for Louise. Louise’s military patronage set precedents for subsequent royal women resident in Canada including her niece, Princess Patricia (see Princess Patricia’s Canadian Light Infantry). The Royal Canadian Academy of Arts and the National Gallery of Canada remain key Canadian cultural institutions. Jehanne Wake, Princess Louise: Queen Victoria’s Unconventional Daughter (1988).